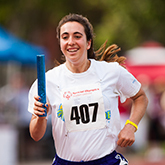 Special Olympics athletes have fun, develop life skills, and achieve the best that they can. 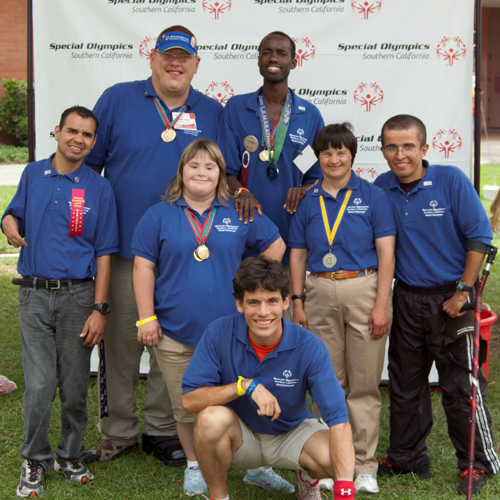 No matter the person's age or skill level, Special Olympics Southern California has something for every person with intellectual disabilities. We deliver high-quality, year-round competition and training opportunities in an inclusive culture that stresses athletic excellence, rewards determination, emphasizes health, and celebrates personal achievement. Physical exercise positively impacts health, mood and anxiety. Emphasis on sports training helps athletes maintain a healthy weight. Through sports, our athletes see themselves for their abilities, not disabilities. They become confident and empowered by their accomplishments. As athletes become empowered, they have opportunities to get involved in decision making, public speaking, and leadership roles. Athletes have many opportunities to make friends and socialize in an accepting environment. They discover they are not alone. 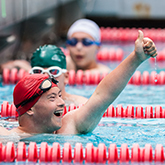 Special Olympics offers 12 Olympic-style individual and team sports that provide meaningful training and competition opportunities for individuals with intellectual disabilities. Sports offered are: Athletics (Track & Field), Basketball, Bocce, Bowling, Flag Football, Floor Hockey, Golf, Soccer, Softball, Swimming, Tennis and Volleyball. From Area Games to World Games, athletes have the opportunity to compete on multiple stages and against athletes from across the globe. 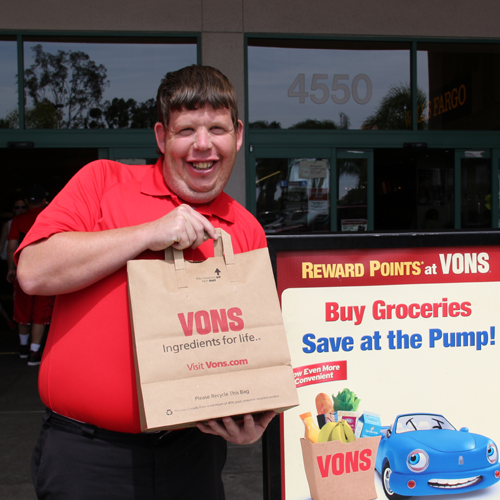 Unified Sports ® joins people with and without intellectual disabilities on the same team. It was inspired by a simple principle: playing together is a quick path to friendship and understanding. Our opponent is intolerance, and as long as we come together on the field of play, we can defeat it. 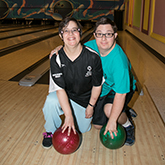 Young Athletes ® is a unique sport and play program for children with intellectual disabilities. The focus is on fun activities that are important to mental and physical growth. Children ages 2 to 7 enjoy games and activities that develop motor skills and hand-eye coordination. Young Athletes is an early introduction to sports and to the world of Special Olympics. We partner with various schools and districts in order to bring sports trainings and competition opportunities to students of all ages. We encourage all students and teachers to participate not only in sports but in youth leadership opportunities and coaching. Along with shining on the sports field, athletes have the opportunity to shine off the field through the Athlete Leadership Program. Athletes are empowered to utilize their voices to assume meaningful leadership roles, influence change in the Special Olympics movement, and help create more accepting and inclusive communities around the world. 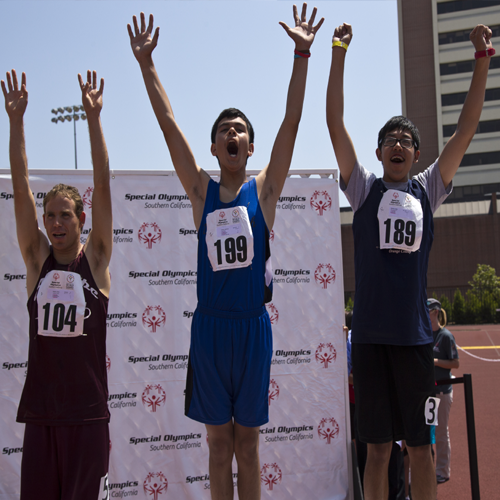 Keeping our athletes healthy so they can compete is a key goal of Special Olympics. That's why athletes can receive free health screenings during select competitions. At Healthy Athletes, healthcare professionals and students provide podiatry, hearing, optometry, dental, dietary, and fitness screenings. The screenings are held in a welcoming and fun environment that remove the anxiety and trepidation people with intellectual disabilities often experience when faced with a visit to a doctor or dentist. Free. 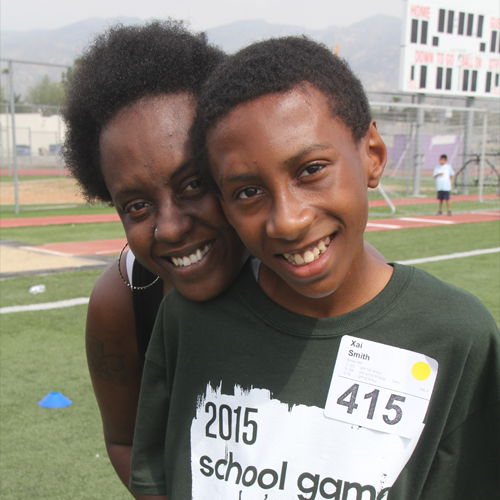 Special Olympics programs are free to all athletes and their families. 37,800 athletes from San Luis Obispo and Bakersfield to San Diego train and compete. 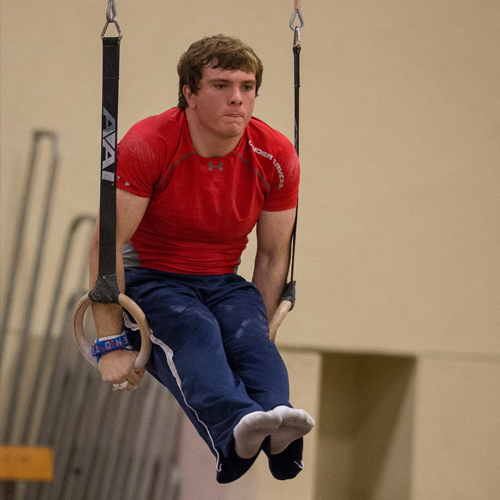 Athletes train and compete year-round in two sports seasons.